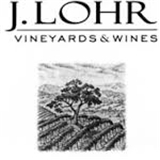 J. Lohr Winery Tower Road Petite Sirah: Youthful and dark in the glass, the Tower Road Petite Sirah shows inviting aromas of homemade ollalieberry pie and a delicate 'pastry-like' French oak barrel signature. The rich fruit flavors finish with an enormously dense berry character. In the vineyards surrounding Tower Road, in the Estrella and San Miguel districts of Paso Robles, our Petite Sirah thrives on the well-drained yet heavier clay soils of the area. The rarity of autumn rains in Paso Robles allows this tight-clustered variety to reach full maturity almost every year, without the risk of bunch-rot that exists in damper regions around the state. Our ripening program requires that we apply bird netting to the vines in August to assure that birds don't overfeed on this especially flavorful grape before harvest. Despite intense summer sun and very warm daytime temperatures in Paso Robles, the gentle afternoon breezes that creep in from the Monterey Bay to the north and from the Templeton Gap to the west cool the area by as much as fifty degrees by early morning, preserving the acidity and bright fruit character of our Petite Sirah.